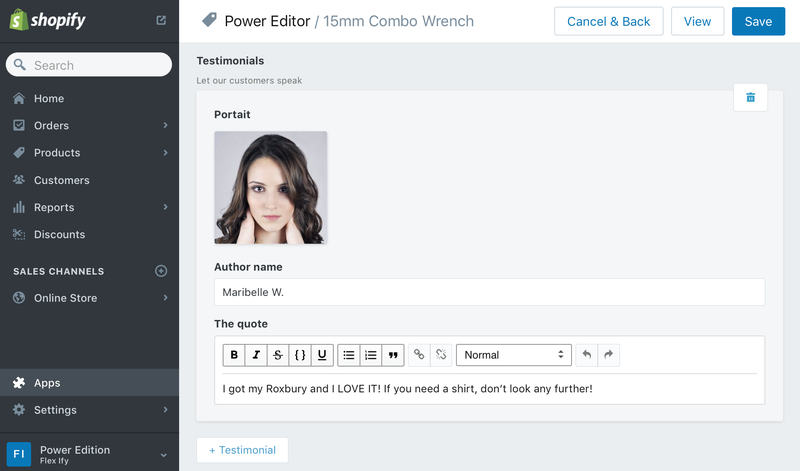 Power-Editor is a content-first CMS App for Shopify. It aims to make life enjoyable for developers and content managers alike. The missing CMS for Shopify. No lock-in, no third party dependecies. All data stays within your Shopify instance. The different field types enable you to give your authors a huge amount of flexibility without compromising your control over how things are output. Here's another video showing how to reorder content entries.